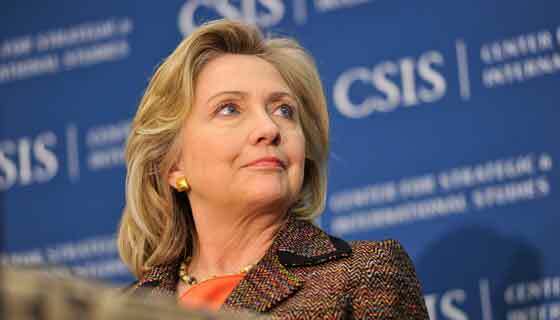 Recently, Hillary Clinton allowed as how she’s been “thinking” about running for President in 2016. “Thinking” about it? Even a six year old didn’t buy that. When a politician says she (or he) is thinking about running, for an office, it’s like an addict saying they are “thinking,” about taking their next fix. They want it with a lust that is all-consuming. The crowd cheered when she said it; the party seems to be teeing up issues like gender equality to facilitate it; and with the McCutcheon decision, the way seems paved for a DLC Democrat like Hillary to waltz into the nomination. And yes, gender equality is a critical issue, but don’t hold your breath looking for progress from Hillary. She’s likely to do as much for women, as Barack Obama has done for African Americans – which is to say damn little, other than a better brand of rhetoric. So before we proceed with her coronation, maybe it’s time to think back to the 2004 campaign, and the early days of Barack Obama’s candidacy and presidency. Remember “hope and change?” At the time, few thought to ask what exactly we were hoping for and what exactly we were changing to. And of course, what we got was a great slogan, better speeches, very little change and even less hope. Here’s what we got: An administration that set up Goldman Sachs south in the Treasury; doubled down on domestic spying; expanded a drone policy that creates between 40 to 60 new terrorists for every one it kills; health care reform that is better than the status quo, but which rewards corporate insurers as much or more than it does citizens; international trade agreements that favor corporate interests, while eviscerating domestic wages, scuttling environmental performance, and crippling US industrial infrastructure. It’s so bad, they’re trying to negotiate it in secret. The list goes on and on, and so do the betrayals. Apologists for the DLC branch of the Democratic Party will say Obama had no choice – he was constrained by Congress. But he practiced a brand of preemptive capitulation that meant we always ended up carrying corporate water, and satisfying military imperialists while ignoring or discounting citizens’ civil rights and welfare. So now enter Hillary Clinton and the deluded Democrats who jones for her presidency. Maybe it’s time to ask what, specifically, we will get; what we can hope for, and whether it will usher in changes Americans overwhelmingly want (more about this, in a bit). And here’s the answer – If we nominate Hillary Clinton we will get another DLC Democrat who mouths progressive values during the campaign, then shifts to the right when (and if) elected. In short, citizens get no real choice. The problem with this isn’t simply that it’s morally bankrupt; economically bad for 95% of Americans; bad for the economy in general; bad for the environment; bad for US competitiveness; and devastating for our children’s future climate – it’s ultimately bad politics, too. — 90% of the citizens support legislation requiring background checks for gun purchase, but Congress can’t pass one. — Or take this gem … more than 80% of Americans want to clamp down on Wall Street but the best we could get was weak-sister legislation that is being completely eviscerated as it is translated into regulations. This list could be extended across a broad range of issues. The fact is, the people’s interests aren’t being represented in Washington and they won’t be if Hillary Clinton is elected. Her record is clear. She’s an ardent proponent of trade agreements; she’s consistently supported the interests of Wall Street over Main Street; she’s been hawkish on foreign policy; weak on civil protections; hawkish on the deficit (until very recently) and mum on many other issues that demand a progressive advocate. 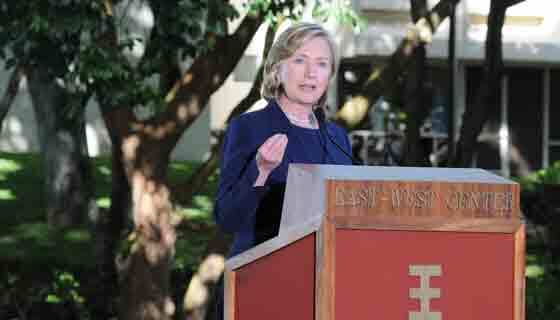 Yes, she’s beginning to veer to the left in preparation for the primaries, but haven’t we had enough of this? Wouldn’t it be interesting to see a candidate who actually represented the peoples’ interests tackle the usual corporatists who win the Democratic nominations? Not to mention the sycophantic Republicans who so obviously dance to the tunes of the likes of Adelson, the Koch Brothers and Wall Street? The fact is we can wage and win a war for a progressive candidate, and we have potential candidates who speak for the people. Elizabeth Warren, Bernie Sanders, the Progressive Congressional Caucus – each offers common sense and popular alternatives to the corrosive forces of corporatism that is eroding our Democracy. Corporate money can trump everything but the vote. In the age of the Internet, we can take over this Party. We can raise our own money and turn out our own candidates. We can bypass the bought and paid for media and reach people directly with a message they are dying to hear. Doubt that? Think back to 2011, when income inequality was a non-issue, ignored by the media and candidates alike. Between September 2011 and October 2011, the Occupy movement erupted, making income inequality one of the main issues in the 2012 election. We must occupy the Democratic Party. Yes, as constructed, it’s little more than Republican lite – answerable to corporate overlords. But we can change that. We can insist on candidates who represent the people. Take a look at those polling numbers again – if we used the tools of the Internet to raise money and advocate popular progressives, we just might be able to beat back the plutocrats. It’s at least worth a try. So let’s go for it. Let’s occupy the Democratic Party. About the Author: John Atcheson is author of the novel, A Being Darkly Wise, an eco-thriller and Book One of a Trilogy centered on global warming. His writing has appeared in The New York Times, the Washington Post, the Baltimore Sun, the San Jose Mercury News and other major newspapers. Atcheson’s book reviews are featured on Climateprogess.org. This is a guest editorial. 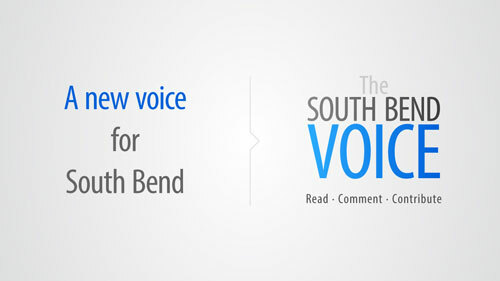 South Bend Voice does not necessarily agree with the views expressed. It is licensed under a Creative Commons Attribution-Share Alike 3.0 License.